I wanted to recreate a zen garden of my own. 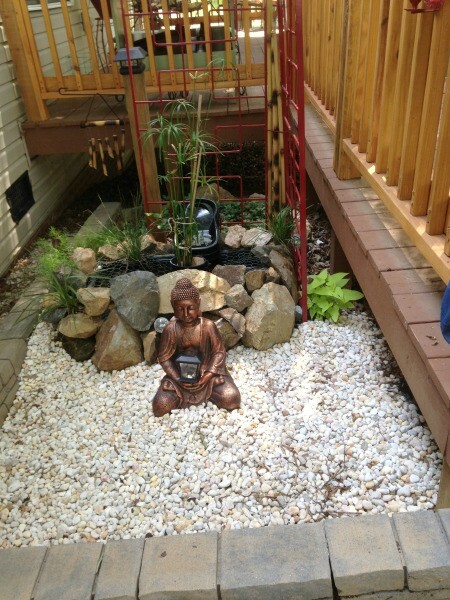 It has small water feature, with plants, rocks, a bamboo wind chime, and a Buddha statue to set the mood. It is so peaceful when the sprinkler is on. My back yard, York, S.C.
That is truly way beyond beautiful. You did such a pretty overall visual and relaxation place. Thank you for the great picture.